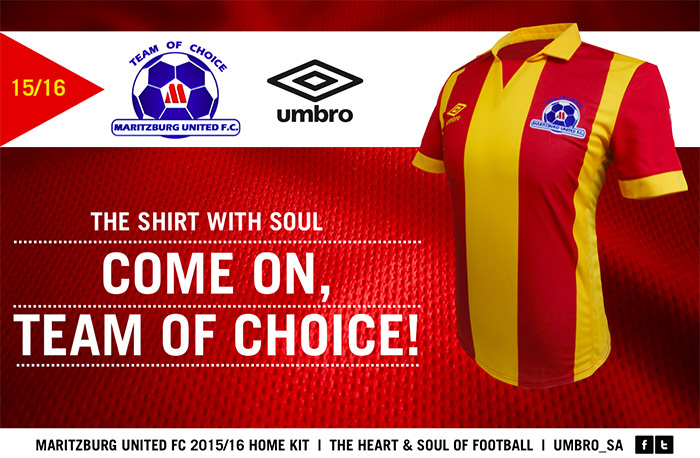 The Team of Choice, Maritzburg United FC have unveiled their Away Strip for the 2015 / 2016 Absa Premiership Season. The black and red striped jersey used last season is replaced with a red and yellow striped jersey, giving the strip a fresh look for the new season. United will parade their new away strip in their Absa Premiership match against Bidvest Wits on Wednesday, 26th August 2015 at the Bidvest Stadium in Johannesburg.